Welcome back to Not Enough Time in the Day and this week's edition of Writer's Words of Wisdom. 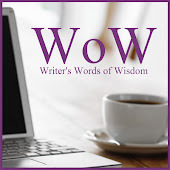 I'm part of a group of authors who share tidbits of advice and experiences in the world of publishing. 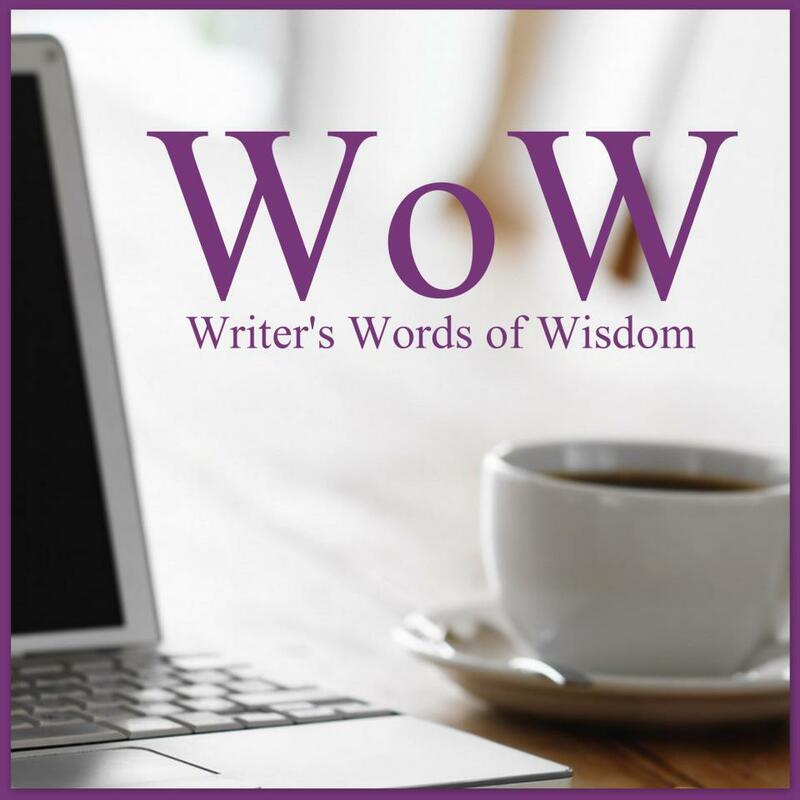 We've covered topics from creating social media to finding a publisher to how to market yourself and your work. We aren't experts by any means, but we do know what's worked for each of us and what hasn't. Maybe you'll be about to find some of our posts helpful or better yet, share your own experiences with us so all of us can benefit. Last week I wrote about trying out the organizational program called Scrivener. I was using it to compile my vampire inspired poetry in order to have a file to submit to Smashwords, Amazon, and Createspace to end up with both ebook and print formats of The Courtship of the Vampyre. This week, I'm here to share how it all turned out. Now, formatting a book of poetry is a little easier than a novella or novel. First of all, there are no chapters to deal with. Each separate poem was it's own folder or file if you will. With that being said, it was a great way to feel my way through using Scrivener and figure out the features I will use the most. I was the most worried that I wasn't going to have a file that I could could use for Smashwords, but ultimately I was worried for nothing. I decided to save each file for the publishing outlets as a .doc file. This turned out to be the best thing for me since all of them accept this file type and it is the one most publishers (like Siren Bookstrand) accept as well. Let me show you what some of the screens looked like for my first book file created with Scrivener. The above is what I call the main screen or continuous screen. It shows all of the folders in continuous flow with lines separating the files/folders. If you look at the list at the left, it shows all the folders I've created including one for the cover photo, the dedication/acknowlegments, a copyright page for Smashwords and Kindle, all the poems and my About the Author section. Now I made a separate copyright page for each publishing outlet because they each need to be worded just a little differently. At the compilation stage, I can choose which folders are to be included in the final draft. Let me show you my favorite view...the cork board. See how the index cards are all laid out? I can actually rearrange them in whatever order I want them to appear in the final draft. I've included the notes on each card reminding me what is still needed in the folder or a brief summary of what the poem is about. This was very helpful when figuring out the order of the poems so they told a story. I didn't want to just toss them in there willy nilly. Next I want to show you what the first compilation screen looked like for this project. See the check boxes? This is the screen where you pick which file or folder will be compiled into the final manuscript. There are more options in the next steps which are very easy to follow by going through the tutorial. I even kept the tutorial open so I could refer to it when I was at this stage. How did it all turn out? I'm happy to say The Courtship of the Vampyre was released on February 22 as an ebook on Smashwords and Amazon, and on February 23rd on both Createspace and Amazon for the print version. It will be a few days yet before I find out if it's included in the Smashwords Premium Catalog. If it is, it will go out to Apple (iTunes), Sony, Barnes and Noble and other outlets including colleges and libraries. To celebrate, I've created a coupon for Smashwords so that you can download the ebook format of your choice of my poetry for FREE. It's regularly 99 cents, but until March 10th you can get it for free if you use the code YY27G at checkout. The next thing I think I'll try with Scrivener is to go ahead and create the EPUB and MOBI files as well as PDF versions. 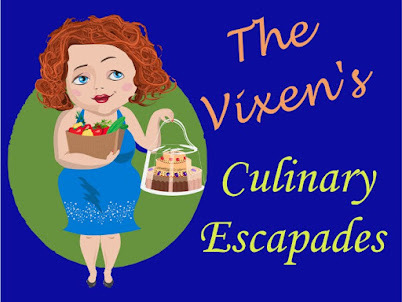 That way I can offer the books on my Sassy Vixen Publishing blog in order to reach even more people. Another idea would be to burn copies of these file types to disk and be able to hand them out at RomCon in June. Who knows? Maybe I'll even have an audio version by then! Check out the others participating this week and make sure you let us know what you think. Congrats on your release! So exciting! Thanks, Melinda. It's running up the ranks at Amazon and folks are giving me some great feedback. 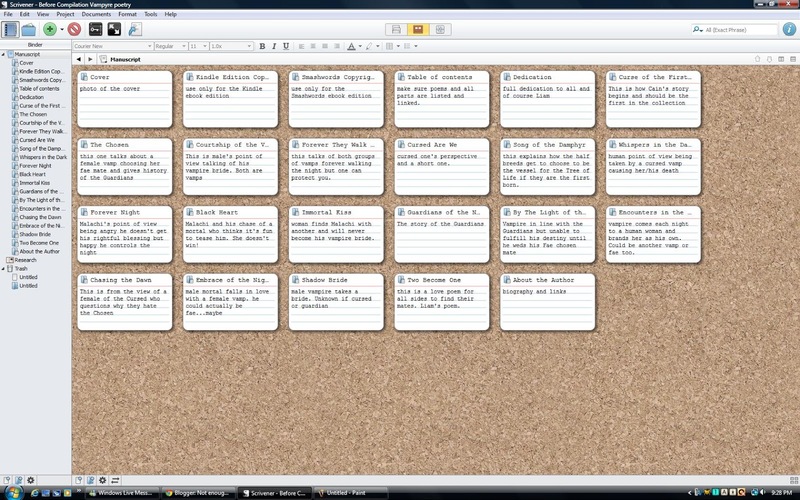 I have to say that using Scrivener helped me keep this one well organized for all formats. Now I'm going to make EPUB, mobi, and PDF versions to sell on my Sassy Vixen and Behind Closed Doors websites. So excited!